that's just really beautiful. thank you for the peacefulness. Beautiful photo and poem! I like the rays of light coming through the sky. Can I just sit there a spell and take in the view, it's just wonderful. 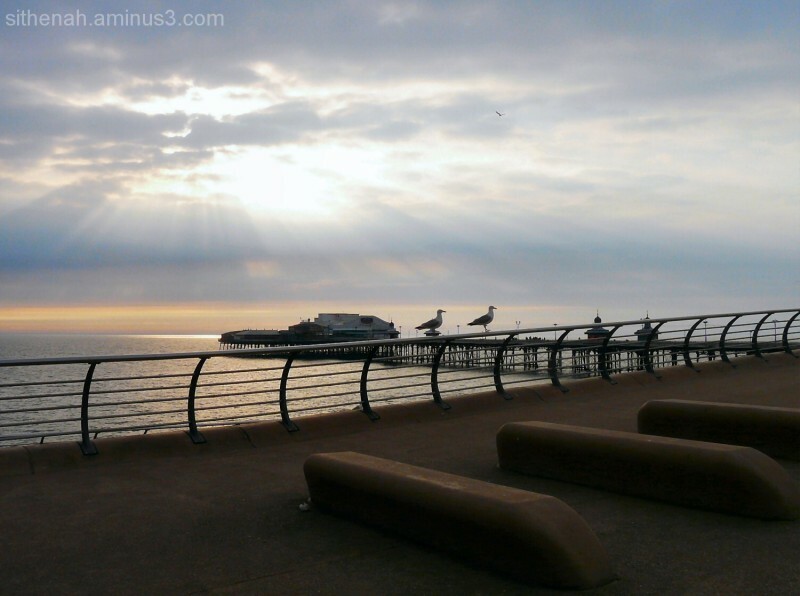 Spectacular photo of the sun burst with the seagulls in the forefront. Great title. They'll be looking for the fish and chips strewn about the prom.